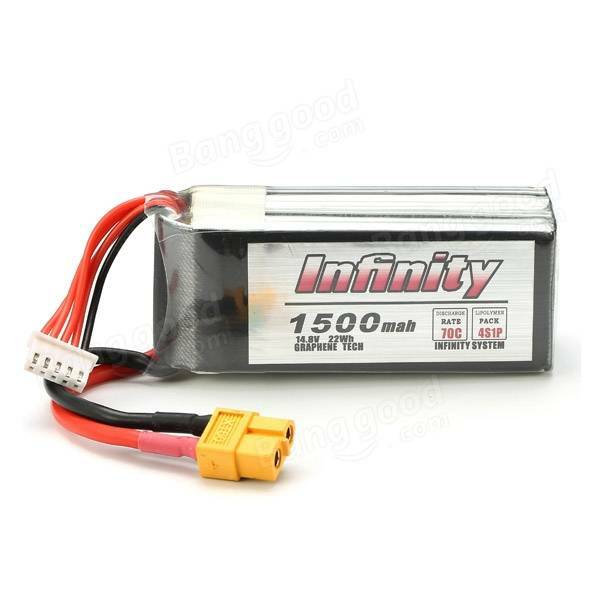 On this page, I will reveal the top 5 best LiPo Batteries for 5″ mini quads. We have asked the community what they deem to be their most favorite and ‘go-to’ LiPos and using that information, plus more information that we have garnered from tests, we have created the following list. As with any ‘top 5’ list, the results are subjective. However, this list will give you a much better idea on what other pilots out there are using and what LiPos your should buy for your quad. For most hobbyists, when choosing LiPos for your quad, you should be considering performance, longevity, weight and of course price. Unless you are racing, then the actual size of the battery itself isn’t too important. Let us get on with the list. 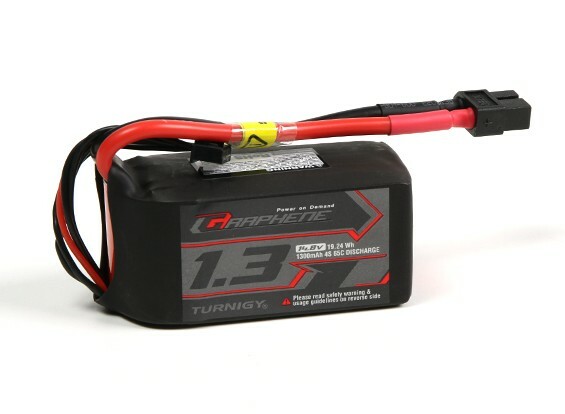 The Turnigy Graphene 4S 1300mah 65C is, in our opinion, the best LiPo battery on the market for your mini quad. The battery itself is graphene which means that it has outstanding performance, especially when you consider the price (just $33). 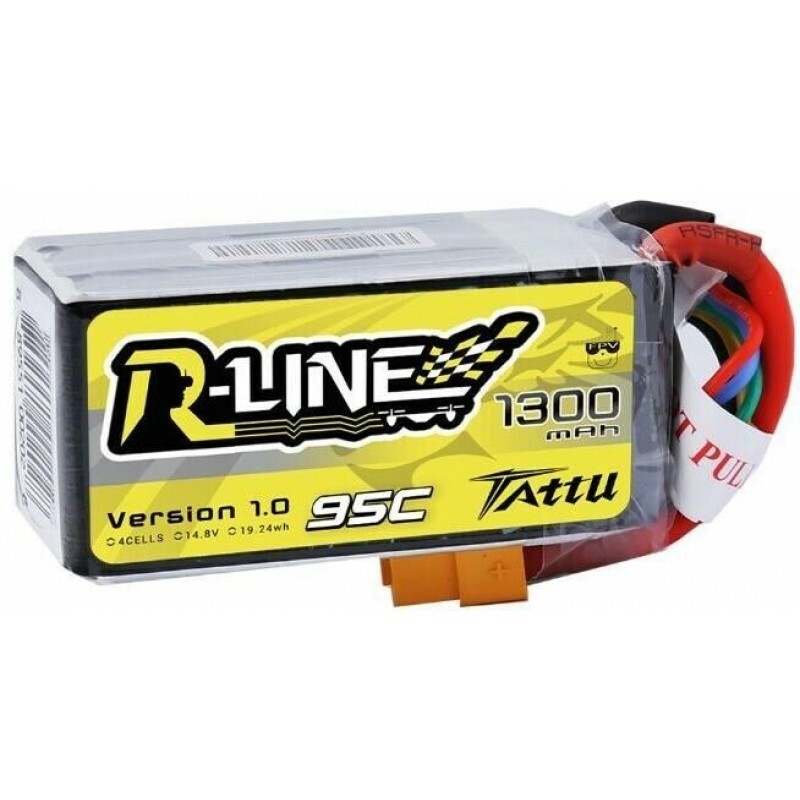 Now obviously there are less expensive 4s LiPos on the market, but because the Turnigy 4S 1300mah 65C are graphene batteries, it will be able to last at least three times longer (non-graphene batteries last around 300 cycles whereas the Turnigy Graphene 4S 1300mah 65C will last around 1000 cycles.) You certainly get more bang for your buck! The battery itself comes in a really nice and fancy magnetic padded case. It is slightly wider and shorter than the standard 4s lipo, but this shouldn’t be a problem and it will fit into most frames. The higher C rating on the battery means that you will be able to accelerate your quad at a much faster rate in comparison to regular lipos. The voltage can also hold for much longer and sustain more current than your regular LiPo. Ultimately, for the price and performance, the Turnigy Graphene 4S 1300mah 65C have to be the best LiPos on the market right now. that they are suited to all types of pilots. If you are just a casual hobbyist, then these batteries will last you significantly longer than standard LiPos. They are also relatively small and compact meaning that for racing they should fit into your tight build. If you enjoy Acro flying then the minimal voltage sag will significantly help you out. Tattu claim that these batteries are “more powerful than any graphene battery.” However numerous tests have shown that, despite still being insanely powerful, they are not more so. Overall, these batteries have a high capacity and lower internal resistance/landing temperature meaning that regardless of what type of pilot you are, the Tattu R-Line 1550 will suit your flying type. producing high-quality LiPos. These LiPos have a quick recharge time and a 150 minimal long cycle life. These have impressive run times and are pretty darn powerful. However, they have not sacrificed power for fly time. On my 220mm frame, light to medium throttle punching has about 9 minutes of flight time whereas medium to high throttle is around 6 to 8 minutes. We strongly recommend these batteries to any racers out there. The Dinogy Ultra Graphene 2.0 4S 1300Ah 80C battery is targeted at the casual flyer and not the racer due to its weight. Whilst it is pretty heavy (177g) it comes packed full of high performance. For example, it can survive over 1000 cycles and has an 80C discharge rate. The build quality on this thing is fantastic. It feels sturdy in the hand and has good protection on the sides meaning it will keep its shape regardless of the load. The orange itself is pretty bold (something that I like but others may not!) The size of the battery itself is regular and has a capacity to weight ratio of 7.3 mAh/g. The voltage stability is pretty good – the cut off is 3.45V/cell. In the end, 35 dollars is a really good deal for these reliable and high performing LiPos. 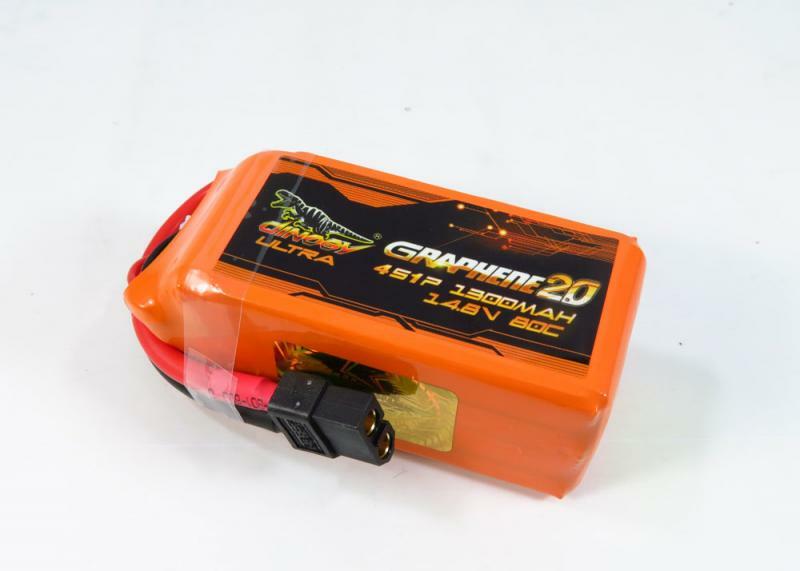 The Infinity Graphene 1500mAh 70C is by far the cheapest LiPo on this list. Whilst it is not as high performing as some of the other LiPos on this list, it is still great value for money. If you want a cheap yet powerful 4S lipo then this is probably the one for you. They weigh 170g and have a decent discharge rate. Personally, I use these LiPos for training. They are inexpensive and you can crash it as many times as you like without the risk of having to spend lots more on another LiPo. With that being said, I’ve found the Infinity Graphene LiPos very tough and I am yet to break one. If you are on a budget or you are simply looking for something that is cheap to practice/crash with, then get these LiPos. You should now have a better understanding about what the best lipo batteries are on the market right now. Thanks for reading!